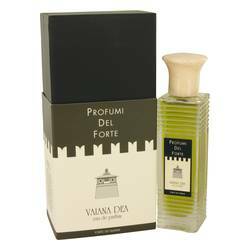 Vaiana Dea Perfume by Profumi Del Forte, Women who enjoy fruity and floral aromas will get a kick out of Vaiana Dea by Profumi Del Forte . This perfume was released in 2013. It has opening notes of peach, aldehydes, violet leaf, milk, bergamot and coconut. The heart contains honey, cacao pod, white rose, lily, jasmine, orchid, ylang-ylang and tuberose. Finally, the base consists of oak moss, vanilla, vetiver, sandalwood, white musk and benzoin. Profumi Del Forte began in 2007. The brand is Read More Read More devoted to finding the best raw materials to use in its fragrances so that customers only get the best. The perfumes are also designed to have an almost timeless quality to them so that they work for a wide range of occasions. The brand has worked with many great perfumers over the years, including Bertrand Duchaufour and Arturetto Landi. Vaiana Dea perfume has an amazing scent that hits the skin smoothly.